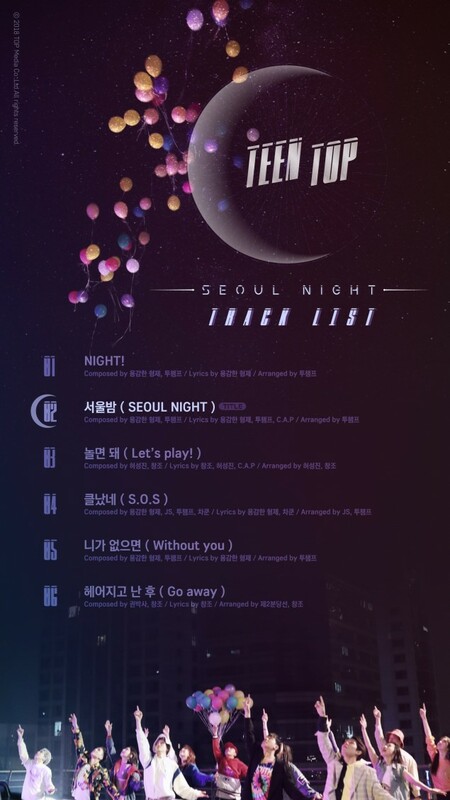 TEEN TOP have revealed the full track list for their upcoming album 'Seoul Night'! 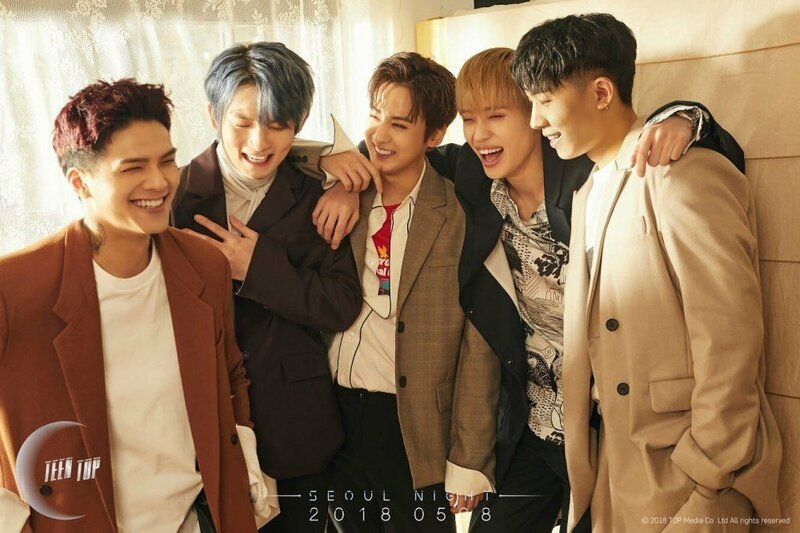 'Seoul Night' is TEEN TOP's upcoming album featuring their title track of the same name, which is composed by Brave Brothers and TWO Champ and written by the two along with TEEN TOP member C.A.P. 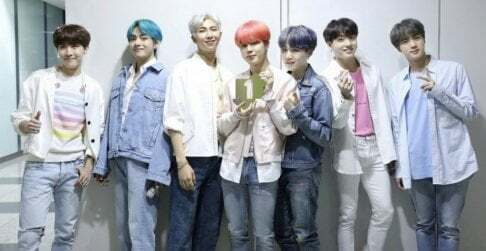 The album also includes "Night! ", "Let's Play", "S.O.S", "Without You", and "Go Away". TEEN TOP's 'Seoul Night' drops on May 8 KST. Check out their MV teaser for "Seoul Night" if you missed it!